Give the gift of a safe and confident handling vehicle this Christmas with a new set of Goodyear tires. As the only points of contact with the road, tires play a vital role in keeping your vehicle and its occupants safe at all times. It’s one of the most affordable ways to upgrade your car’s handling. And with Goodyear Philippines’s 3-day Warehouse Sale, it’s not going to break the bank. Enjoy a hefty 60 percent discount on selected tire models for passenger cars and SUVs this Thursday, December 1 to Saturday, December 3. 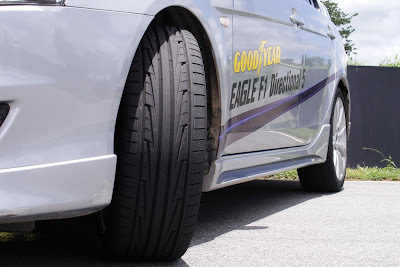 Discounted tires may be purchased directly at Goodyear Philippines’s own warehouse located on Sixto Cuevas corner Elisco Road, Kalawaan, Pasig City.